Happy New Year! I hope 2013 has been a good year for everyone. I’d like to mark the beginning of 2014 with my new monthly roundup of some of my favourite craft blogs and shops. If you missed the first crafty roundup, back in November, please see my previous post. First up is Isabel’s Needleworks. Isabel is a fabric artist indulging in her hobbies of knitting, sewing and embellishing her handy work with machine embroidery. She shares all her lovely makes on her blog and also includes some really interesting craft related articles with some background history. I particularly enjoyed reading Isabel’s recent post on Penny Rugs. Included in the post are some of the handcrafted items which Isabel has made, having been inspired by the Penny Rug techniques. Gorgeous work! Another favourite blogger of mind is Michelle of SewnHenge. 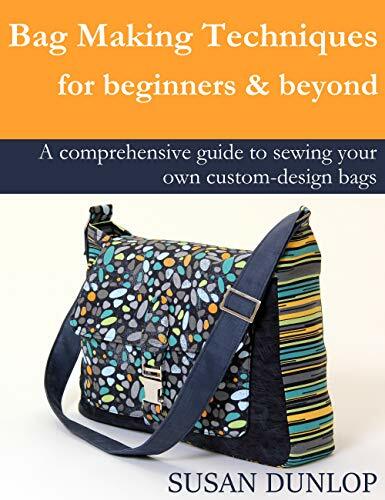 I really enjoyed reading Michelle’s blog when I came across it some time ago and I love all the sewing and quilting projects that she shares with us, including a fab collection of sewing tutorials. One of my favourite tutorials has to be The Stargazer Dress, it’s so pretty! Yet another inspiring craft blogger, Esther of Make My Day Creative. Esther’s blog is full of tutorials, including crochet patterns and cooking recipes. She shares what she’s been making and tells us how to make it too! A very generous blogger, who makes gorgeous accessories. I love the crocheted Textured Cowl with matching Fingerless Gloves (see image below) which Esther shares the patterns for. Aren’t they lovely? A Daisy Garden is another inspirational craft blog to say the least and is full of sewing and quilting delights. A recent post of Daisy’s about a shoebox exchange really caught my attention. The participating crafters and quilters spend all year collecting fat quarters in the colors which their “secret quilter” has requested; two each month. They also add fun little items such as a pin cushion, ornament, sewing needles, and …chocolate! Such a wonderful idea and what a box of treats Daisy received! Well, I’ve only just touched the tip of the iceberg so far with all the wonderful craft bloggers I have the privilege to follow but I will be rounding up more in about a month’s time. If you already follow the ones above, you’ll know how lovely they are but, if you don’t, I urge you to pay them a visit. Thanks for featuring me Susie! I’ll be checking out the other sites too, they look great! Hi Esther, you’re so welcome. I love your creations. Happy New Year! Hi Mtetar, thank you so much. It’s a pleasure to share all the wonderful things our craft community shares with us. I’ll look forward to keeping up with your blog too. Happy New Year to you. Thank you Susie for featuring my blog, I can’t wait to check out the other blogs. There is so much talent out there, I love how the art of stitching goes on and on 🙂 Here’s to another wonderful year! You’re very welcome and thank you, hope you have a great year too! Wow, thank you so much for the feature!! You totally just made my day, and year since it is the first of January!! 😀 Hope you had a fantastic New Years! Hi Anny, you’re welcome, they are great sites aren’t they? Thank you too for your really kind nomination, that’s so lovely of you! Some fantastic suggestions Susie! There are so many great creative blogs out there to draw inspiration from and these are just a few really good examples to start with. Thanks for stopping by, pleased you like these suggestions.